Oregon’s Willamette Valley has earned its place on the shelf. In the last 10-15 years. The Pinot Noir wines from the Northwest have proven to be good enough to be compared to French Burgundy. Critics love the terroir-driven wines while consumers find an increasing selection of Oregon Pinot on wine shop shelves. The notoriety has made many Oregon wineries household names. But modest beginnings rooted in the 1970s and 1980s has also drawn the attention of major players in the wine industry. An argument could be made that first happened when Burgundy’s Robert Drouhin bought land and started Domaine Drouhin in 1987. Arguably that gave Oregon Pinot the credibility to grow. But the last two years has brought two more big names and has drawn the wine world’s attention. Kendall Jackson wines purchased the Solena Winery in Yamhill, in a sale estimated to be near $10 million, late last year. Then earlier this year the Jackson family made it clear they were going to be a major player with a 250-acre vineyard purchase in the Eola-Amity Hills region. Long-time Willamette producers should look it as validation, said winemaker Jesse Lange of Lange Estate Winery. 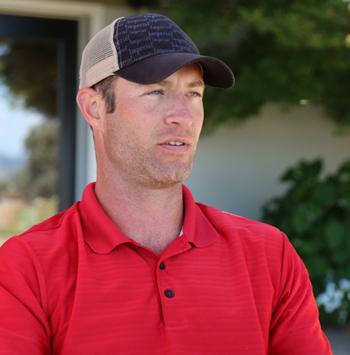 Jesse Lange chatting in early June at the winery tasting room. But the investment doesn’t stop there. Louis Jadot, another equally famous Burgundy producer, purchased a 20-acre vineyard in the Yamhill-Carlton AVA last year. Jadot brought retired Burgundy winemaker Jacques Lardiere out of retirement to lead the Oregon effort beginning with the 2013 harvest. Observers are watching to see how the wines will be marketed and if the company makes more land purchases. Jadot controls more than 600 acres of vineyard in France. 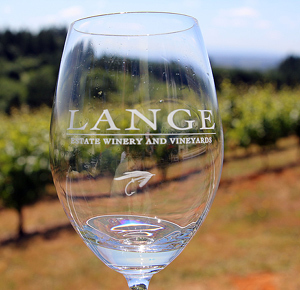 For my palate, Lange is one of Oregon’s consistent producers. The additional major players can only make the Willamette brand stronger. Lange’s approach on the new arrivals is a confident one as he brings new vineyards into production and builds on his established brand. Pinot Noir lovers are in for exciting wines from Oregon for years to come. Howard’s Pick: My favorite value-priced Oregon Pinot is Lange’s Willamette Valley Pinot Noir. It consistently delivers well above its lower $20 price point. BLOGGER NOTE: I have quite a bit more from Jesse Lange on his wines and exciting news about the future from his vineyards. I’ll have that up soon.